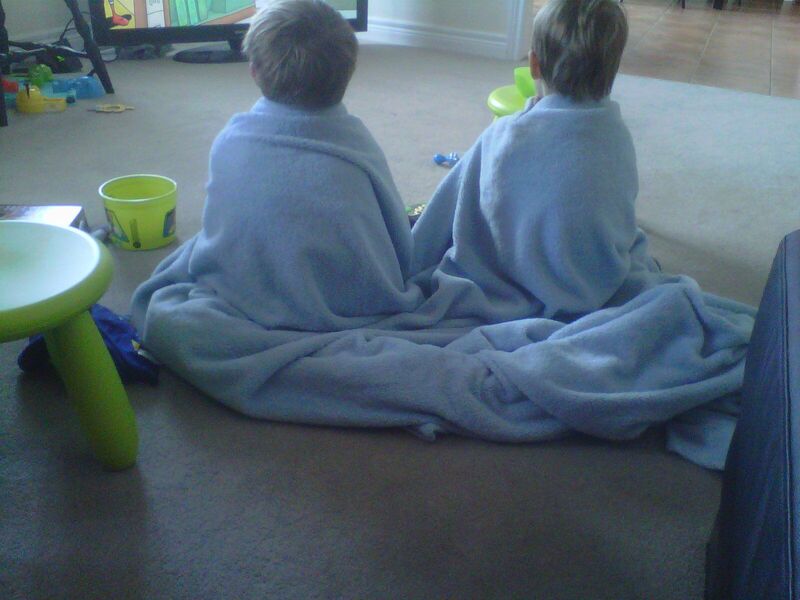 These are the two young men who will occupy a little more of my time than usual over the next couple of months. Their Mom will be packing up and getting ready for the second move in a year. Not something I would wish on anyone. Hopefully it will be the last move for a while. 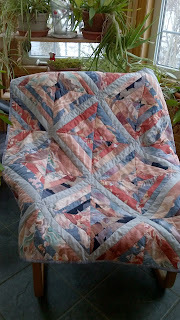 This is a pattern I tested for The Quilt Pattern Magazine (here) . It is available as part of the current issue. My photo is not terrific. I tested a mystery for them that will start in their May issue. It looks great. I have been doing some testing for other designers and it is an interesting process. You make the project following their directions and then provide feed back, identify areas of weakness or typos etc. 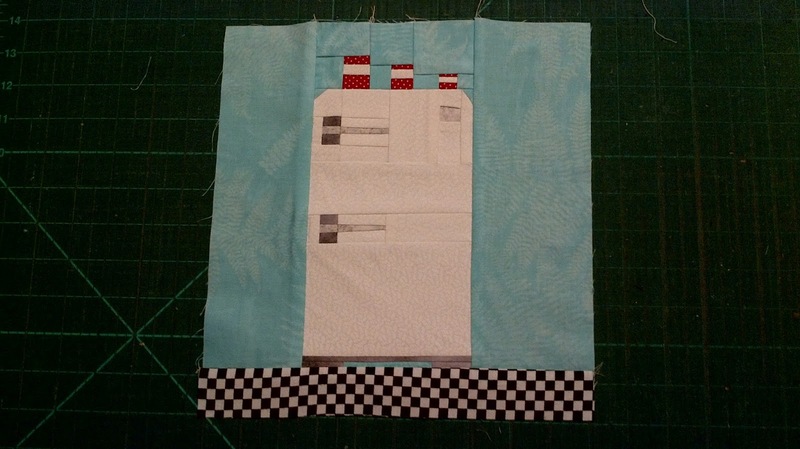 Today was a Project Linus sewing day in Kincardine. Proceeds from the quilt raffle at the show last fall have been earmarked for community outreach projects. 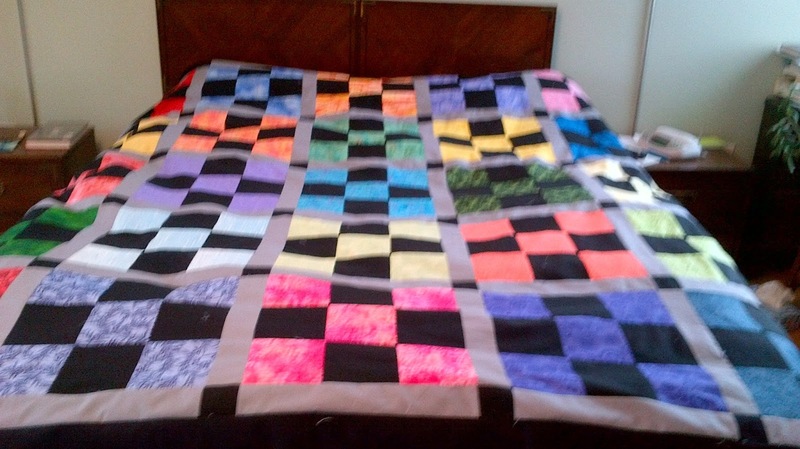 It was a real treat to sew with new big pieces of fabric instead of assembling many different scraps to make a quilt. 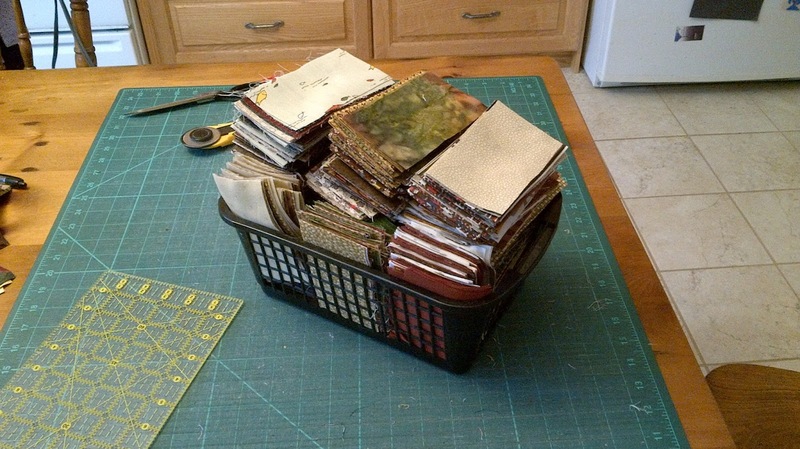 Last Wednesday we had a Scrap Bag Quilters meeting. I had my top assembled before it was time to go home. I am blaming my table mate for that. She was absent so I had no distractions.